Scenic mountain route closes about a week earlier than usual because of avalanche hazard and forecast of more snow. 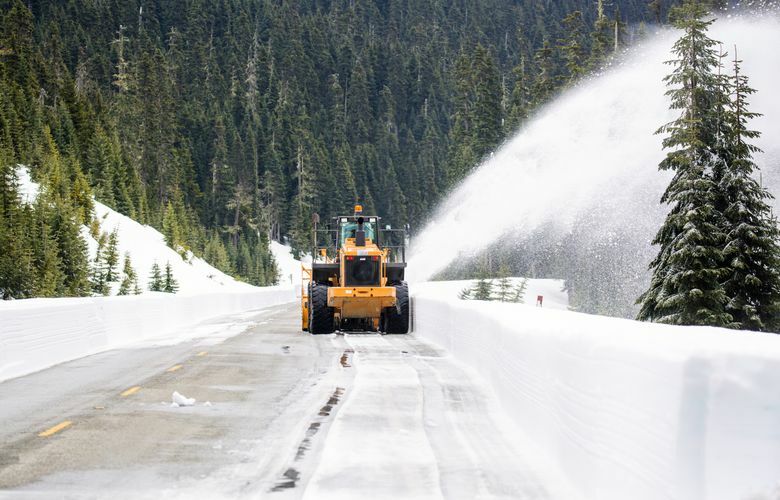 Along with fuzzy caterpillars with heavy coats, another harbinger of winter is the annual closure of the North Cascades Highway — which shut down on Friday afternoon because of heavy snow. The Washington Department of Transportation (WSDOT) announced Thursday that the scenic mountain route, also known as Highway 20, would close for the season because of continued avalanche danger. The highway typically closes for the winter from about Thanksgiving to about March. State crews have plowed the highway between the gates at mileposts 134, near Diablo, and 171, west of Mazama, since snow began falling in early October. But new snow has continued to fill avalanche chutes, officials said in a statement on the department’s website. They said the forecast for more snow this weekend makes it too dangerous for crews to work or for the public to drive below full-avalanche zones. This year’s closure is a week or so earlier than typical. Last year, the North Cascades Highway closed Nov. 18. The only time the highway remained open through the winter was in 1976, when a drought produced record-low snowfall. Snowmobilers, hikers, skiers and other winter adventurers are free to use the roadway behind the gates, at their own risk. When conditions permit, crews will reopen the highway in spring. Clearing the 37-milelong, mountain-pass highway requires crews working from both sides for roughly four to six weeks. Like train-spotters, there are snowplow watchers; if you’re one, you can watch how the highway was cleared by signing up for North Cascades Highway emails and following WSDOT East and WSDOT North Twitter accounts. The North Cascades Highway also has its own web page.